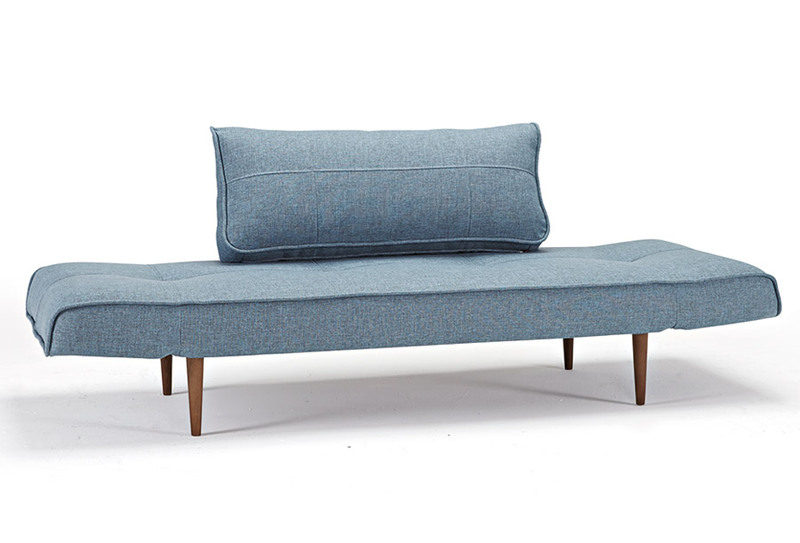 Designed by Per Weiss, the Zeal Deluxe Daybed Sofa is an homage to the great mid-century era of furniture design. Zeal is a small, multifunctional resting place designed for your modern home or office. 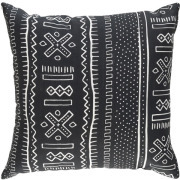 Perfect for catching up on a great book, or a midday nap, Zeal's more than great style. With adjustable armrests on both ends, finding the perfect angle for your neck is a cinch. Available in a variety of fabrics and dozens of custom options, paired with dark walnut stained wood Styletto legs. 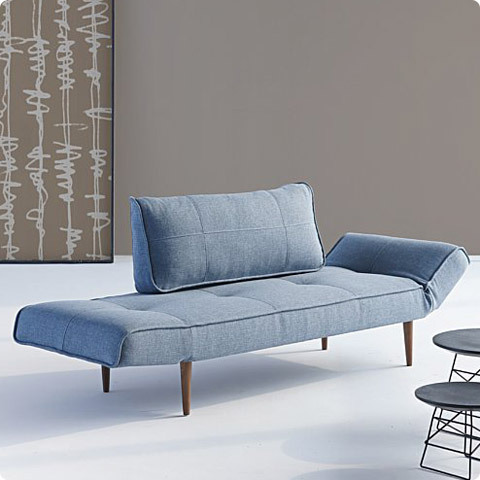 Originally designed in 2010 (and named the "Little Bird") by Per Weiss, the Zeal Deluxe Daybed was officially introduced in their 2011 Collection, and has been one of Innovation's mainstays the past eight years. And it's not hard to see why! The Zeal Daybed has a number of factors that make it one of our most popular products year in and year out. 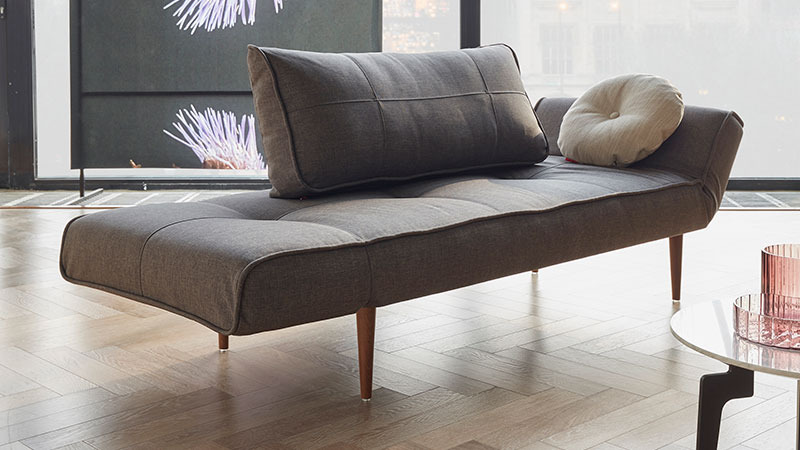 So, let's get to the details, our in-depth product review, and the pros and cons of this iconic Danish daybed. Click here for EXCLUSIVE SAVINGS on the Zeal Deluxe Daybed! 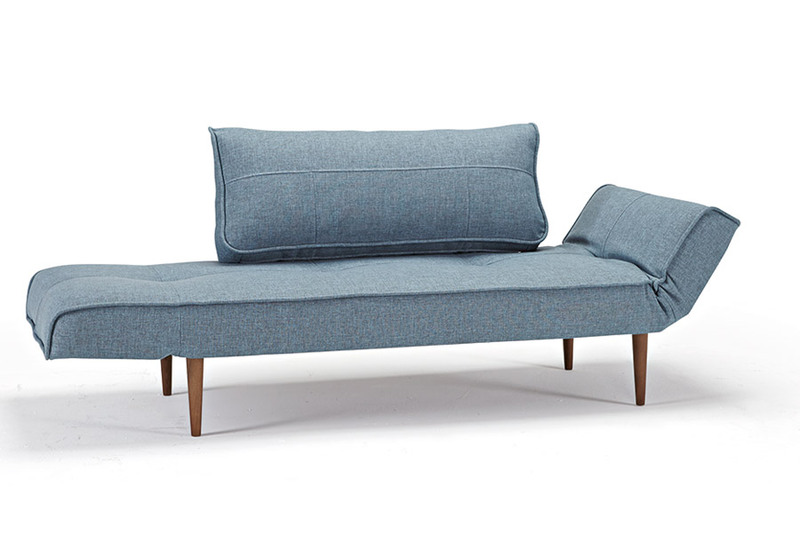 The Zeal Deluxe Daybed is the smaller cousin of Innovation's classic Wing Deluxe Sofa. Like the Wing, it employs two articulating arms that enable the seating area to lay completely flat, or "fold up" to create arms or headrests. Instead of a large articulating backrest like the Wing, however, the Zeal has a smaller frame and employs a small fixed pillow-like backrest. The backrest is secured to the mattress/seat with a U-shaped steel tube that bolts onto the back of the seat. 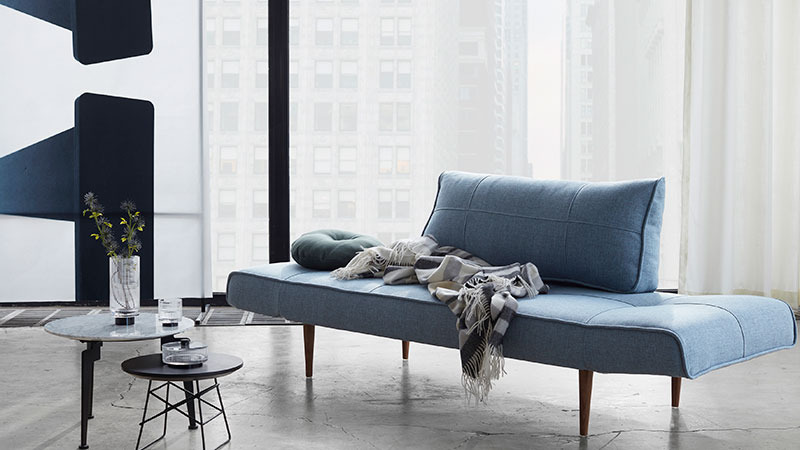 Much more of a chaise than a sleeper sofa, the Zeal's sleeping surface measures in a-little-smaller-than-twin-size at 79-inches wide and 29-inches deep. Like all Innovation pieces, the Zeal's seat is actually an IComfort mattress (their patented design), in this case, the 7-inch thick version. Click here to download the assembly instructions! Over the years, the Zeal has been available in a variety of upholstery options, and in 2014 Innovation began offering their "DIY" program. 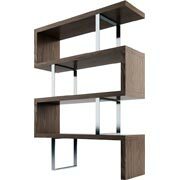 That means there are three stunning options of the Zeal that are ready to go, and accent your contemporary living room! 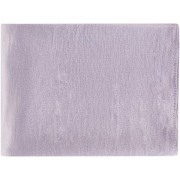 The best way to start a special order, and get the perfect Zeal Deluxe Daybed for your home is to order fabric swatches! Once you know find the perfect color, just select it from our Custom Fabric option and you're all set! As Innovation describes it, good aesthetic must go hand-in-hand with great functionality and comfort. Their team of product designers, developers and technicians work together to seamlessly integrate form and function into every piece. The Zeal boasts a smaller frame, which makes it ideal for places in your home or office where a full-size sofa either doesn't fit or doesn't make sense, like a den, study, reading nook, etc. 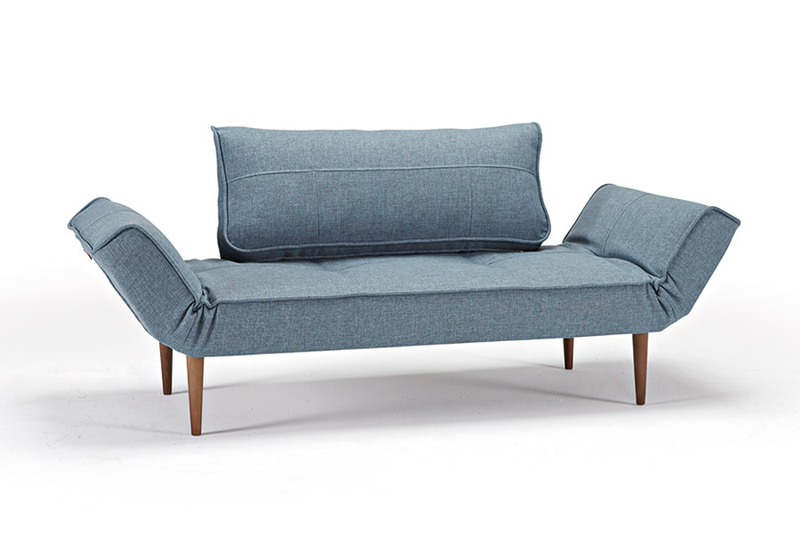 Designer Per Weiss pulled in classic Danish elements by adding tufting to the seat (mattress) and stitching to the backrest. Zeal is "finished" on all sides, so (as with most Innovation pieces) it works well "floating" in your room. 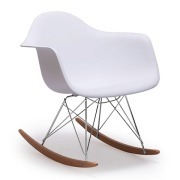 Zeal's three leg options give you some choice of style as well. 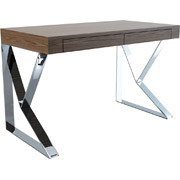 The laser legs are obviously more contemporary, while the dark wood and brass options offer more mid-Century appeal. Zeal is priced under $1,000 including free shipping. (Join our e-mail list and you might get it for even less!) 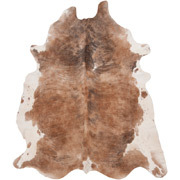 You can always find something cheaper somewhere, but it's tough to find this type of value anywhere in the modern furniture market (which we'll get to in a minute). 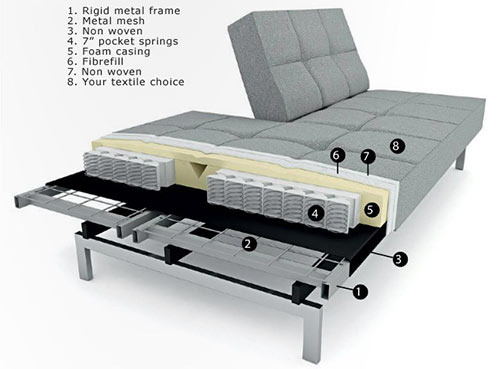 In fact, the Zeal Deluxe Daybed is Innovation's lowest price "staple" item. Every few years they test a lower priced model, but the Zeal consistently outperforms them! As with all Innovation products, a major component is quality. Simply put, there's no other manufacturer producing modern or Danish-inspired sofa beds in the same ballpark quality-wise. In fact, Innovation has production facilities in both Denmark and China, which means both factories must meet each other's standards in order to produce consistent results. Zeal is produced to CARB compliant standards and upholstered in multiple fabrics, all of which score well over 30,000 on the Martindale rubbing test. 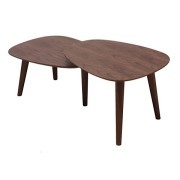 Zeal's legs are crafted from solid wood. Internally, Innovation's IComfort mattress is a patented variation of what you probably sleep on every night! Innovation packs a 7-inch innerspring with a steel frame, all encased in dense foam. The result is a marriage of the padding used in most sofas, with the springs found in most mattresses. 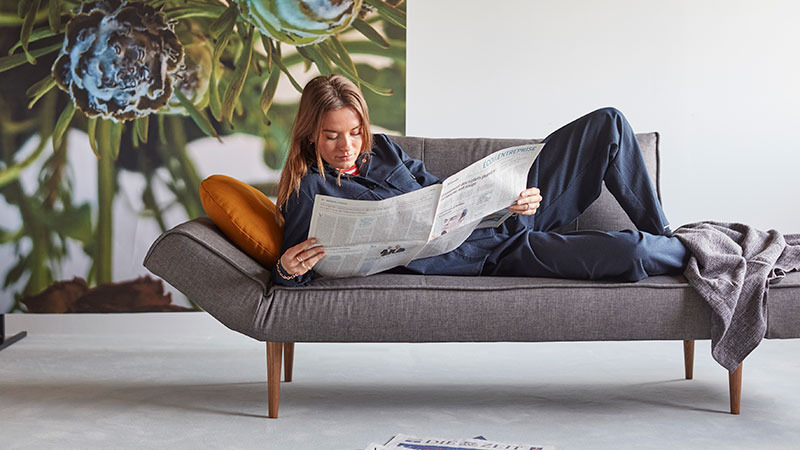 Obviously, "feel" or "comfort" is highly subjective, but on the whole, Innovation's design seems to find a middle ground we might describe as a firm sofa or comfortable mattress. Zeal's mattress also contains four "click-clack" mechanisms, enabling to two arms to move, with a failure rate of less than 0.1%. The Zeal Deluxe Daybed boasts a two year warranty. In addition, Innovation has a certified environmental profile, so all recyclable waste is used in other productions. Residual, combustible waste is incinerated in low-pollution plants, and every product package is designed to ensure efficiency in materials without sacrificing safe transportation. Innovation says they are always trying to produce at a good price, but not at any price. That might not be how we'd phrase it, but we definitely agree with the sentiment! 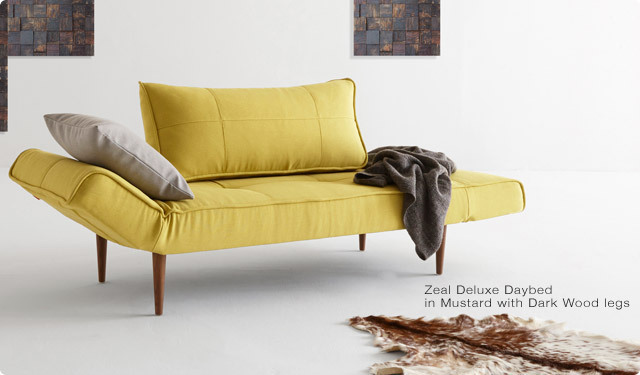 Really, the main drawback to the Zeal Deluxe Daybed is its size. Frankly, it has a lot going for it, but the Zeal is definitely not perfect for everyone or every space. Its small stature means it's not a big bed. In fact, as far as beds go, Zeal downright tiny. Your guest (yes, just one guest) could make due on it for a night or two, but with a sleeping surface smaller than twin-sized, it's really better suited for smaller adults and kids. In fact, our ideal scenario for the Zeal is in a home or office setting where you might lounge and watch TV, catch a quick nap, etc. There's a saying that you don't want your guest bed to be too comfortable, but the Zeal might be pushing it! Along with Zeal's smaller stature is its low profile. Zeal has a 16" seat height, and is 32" high overall, which starts to feel a little small if you're taller than about 6'. We can't envision anyone taller than 5'6" sleeping on it comfortably overnight. Lastly, we return to the subject of comfort. We find many of our customers, especially those considering modern sofas, are used to a firmer sit. The consensus from our Buyers is that, on a scale of 1-10 (1 being very soft, 10 being very firm), the Zeal Deluxe hedges towards 6.5. In our minds, that means it's probably too firm for many to use as the main sofa in a living space. That's not out of line with Zeal's overall appeal, though. As we've mentioned, its small stature and daybed name are consistent with a piece you would use for a few hours a week to read a book, catch a quick nap, or in a kid's room for sleepovers! Got questions about the Zeal Deluxe Daybed? E-mail us!